Everything You Need For Your Dream Wedding. 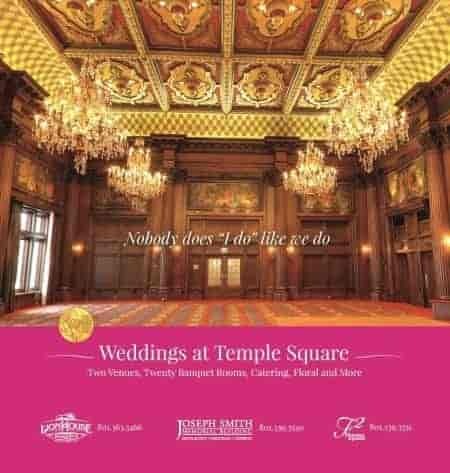 Utah's Premier Wedding Professionals & Planning Guide! & Wedding Events to Attend! Click Here to Register for a FREE Honeymoon & Other Swag! We offer 100% Custom Wedding Invitations. At Utah Announcements we strive to have the best prices and best customer service. Congratulations, you’re planning a wedding! 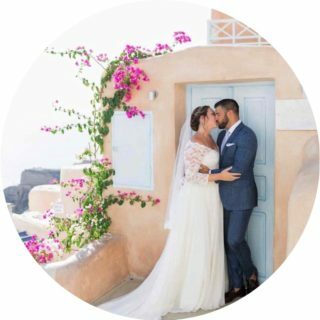 Salt Lake Bride helps brides to be in Salt Lake, Utah Valley, Logan, Ogden, Southern Utah, and Southeast Idaho find the right Utah Wedding services. On our site, you can browse, search, review, and contact wedding vendors throughout the state. If you are looking to get in touch with a particular vendor, please view our list of local vendors. 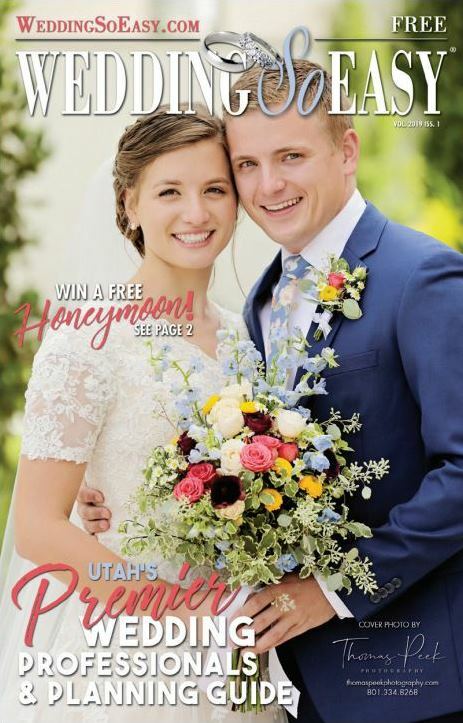 You can also find additional wedding planning tips by getting your FREE copy of Wedding So Easy Magazine – Utah’s Premiere Wedding Professionals and Planning Guide. Professional wedding photography is essential throughout the entire marriage process. 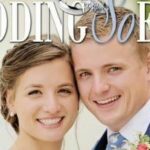 Our Utah wedding photographers are the best in the business and offer services ranging from engagement pictures and bridals to wedding ceremony and wedding reception photography. The last place you want to make a mistake in your wedding plans is in your choice of wedding photographers. During the process from engagement to marriage, you will be spending a lot of time with your photographer, but not only that, the pictures taken from your engagement to your reception will last the rest of your life and define a large part of the way you remember these important events. Make sure you make the right choice when it comes to your wedding photographer by choosing one of the professional, experienced wedding photographers listed on saltlakebride.com, many of whom have a studio or other favorite settings to create the perfect wedding pictures for your engagement, invitation, bridal, and other photography needs. Maybe the only thing that could possibly be better than professional wedding photography is professional wedding videography. Any of the professional videographers on saltlakebride.com can beautifully capture the precious moments of your one special day. Professional wedding videography can capture the sights, sounds, and emotions of your wedding day in a way that even wedding photography cannot. With the help of a Utah wedding videographer, the passing of time will never impede your ability to relive the best day of your life anytime you like. 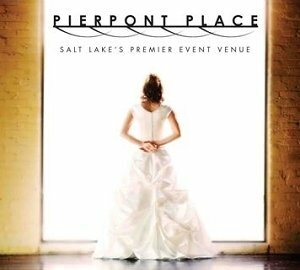 The professionals on Salt Lake Bride are here to help make your Utah wedding gowns and wedding tuxedo dreams a reality. Choose from all kinds of styles and designs or even create your own! With these incredible wedding vendors, you can customize your wedding attire to fit your unique vision of your perfect day. These professional wedding vendors want you to look your best in your wedding gown on your wedding day! Nothing is more important than selecting the bridal gown for your special day. Read more on our site about choosing the perfect wedding dress. 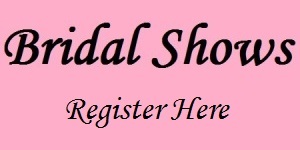 We also have a list of bridal vendors to help you find the perfect dress. After selecting your wedding theme, wedding decorations, and wedding gown, you need to top it all off with the perfect wedding flowers. 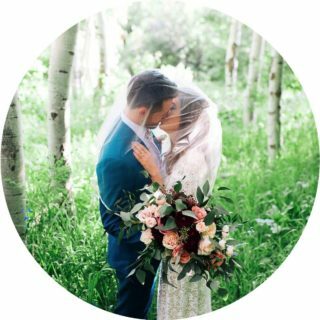 The professional Utah wedding florists on saltlakebride.com specialize in anything from bouquets to centerpieces and anything else you might want. 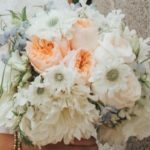 Any one of the Utah wedding flower shops listed on saltlakebride.com can provide you with a unique floral piece to fit your perfect wedding. Whether it’s a bridal bouquet or flowers for your reception, our list of vendors has everything you need in terms of flowers and decorations. Our vendors have everything from decorations to backdrops. If your venue doesn’t have chairs or other items, we also have vendors who rent these items. Could you imagine a party without music? Then I’m sure you can’t imagine your wedding without music either. You may want to consider hiring a Utah wedding music, DJ or entertainment vendor – especially if you’re planning to have a Utah wedding videographer at your wedding. Then the video recording of your wedding music will be as unforgettable as the rest of your perfect wedding day. If you have already chosen you wedding date and location, it is time to start inviting all the friends and family. There are a lot of options out there when it comes to wedding invitations. Styles include save the date cards, wedding announcements, and wedding invitations. Wedding announcements and wedding invitations come in all shapes, themes, and sizes – from formal or casual, to silly or serious. 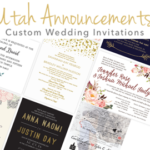 With the great wedding vendors on saltlakebride.com, you can create custom wedding announcements & invitations to fit your style and personality. Like your wedding pictures, wedding decorations, and wedding flowers, your wedding cake absolutely has to fit the theme you’ve chosen for your wedding. Many times the wedding cake is one of the most unforgettable features of a memorable wedding. Salt Lake Bride’s listing of wedding cake vendors are professional and conveniently local. With their help, you’ll be able to create a masterpiece, from which everyone can enjoy a piece of your perfect wedding day. Salt Lake Bride also lists professional wedding caterers to fill any wedding catering need. For those who might need or want a little extra help planning their wedding, or who want to spice up their special day a little, some of these professional wedding planners and wedding vendors might be right for you. 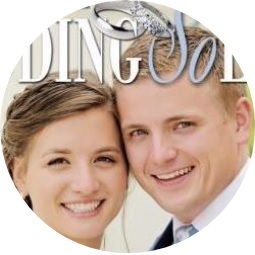 Salt Lake Bride can match you with the perfect wedding planner or wedding vendor to help you find exactly what you’re looking for, whether it be additional music and entertainment, or even if you just need help to find the perfect gift for a couple who mean a lot to you. Most importantly, you might need help with the logistics of your wedding planning. From hiring a photographer to planning your honeymoon, our vendors can help you plan for your special day. Tips on planning your wedding. Utah’s Premiere Wedding Professionals and Planning Guide. Using this website along with The Wedding So Easy book, you will have the information you need to make this exciting, special event a truly remarkable celebration. Wedding So Easy has been compiled to make the planning of your wedding as easy, enjoyable, and hassle-free as possible. We begin by offering a wedding planning tips section filled with helpful information on how to create the wedding of your dreams. Included in this are budgeting and finance ideas and worksheets and blank calendar pages to write down your appointments. Also included are phone numbers for various Utah newspapers for announcing your engagement. Next we divide our guide in the sections of wedding specifics: floral, event venues (wedding and reception), announcements, photography, cakes and catering, etc. Each section begins with the helpful hints page to make your planning easier. After the helpful hints section, you will find a listing of local businesses which will cater to your specific wedding needs. Call and visit these vendors to decide which one offers the services that best fit your wedding needs. As you narrow your selections of desired vendors, jot down their names and phone numbers in the notes section. This will enable you to have all important names and phone numbers in one place, saving much time and hassle as you try to locate each business that will help you make your wedding day perfect. Again congratulations on the most wonderful step in your life! We hope that you will find Wedding So Easy a truly helpful tool in making your dreams come true!